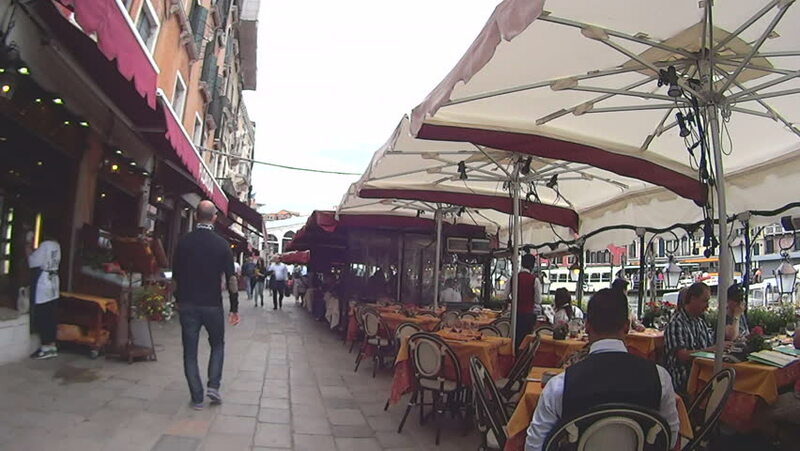 Restaurant on the promenade of the Grand Canal. Venice, July 20th 2016. Many tourists of different nationalities and different races.